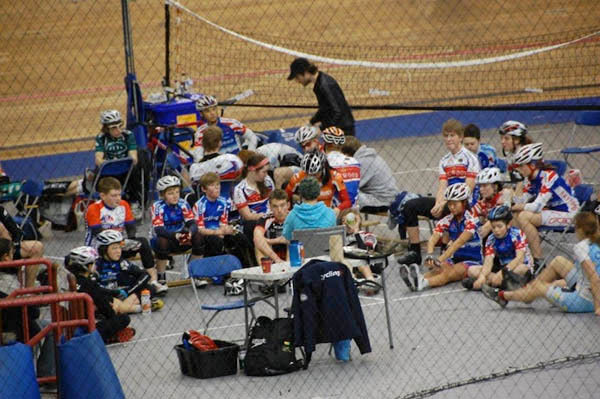 The third annual Winter Youth Camp held by Cycling BC and Burnaby Velodrome Club wrapped up with a final track session in the afternoon and racing in the evening. The highlight of the day, though, was a visit by 2010 national road race champion and Spider Tech Professional continental team rider Will Routley. Will spent a whole hour fielding questions from the room full of riders who had prepared questions ranging from nutrition, recovery, to balance in sport. "It was great to meet a real Canadian pro cyclist and see what skill and determination it takes to reach that level" said 12 year-old Maggie Coles-Lyster. 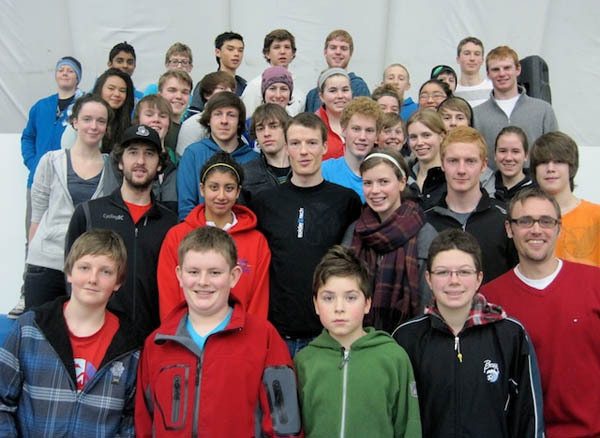 The four-day camp began with two training sessions on the track and a visit from another Canadian pro cyclist, Svein Tuft. Svein, who will ride for Australian ProTour team GreenEdge in 2012, spoke with the group about his entry and progression through the sport of cycling. The current national road race and time trial champion talked about his first race at the BC provincial championships to his exploits in Europe with Pro Tour team Garmin Slipstream and Canadian-based Team Spidertech. 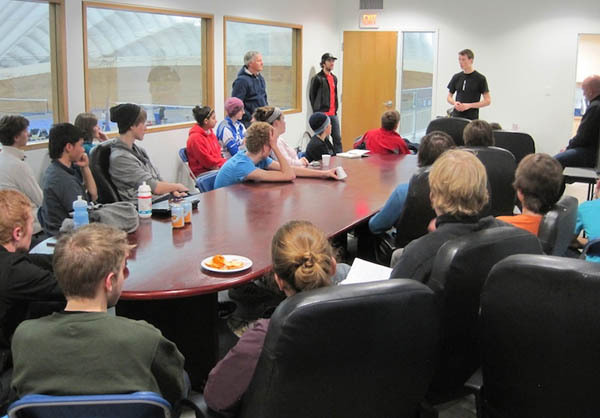 In addition to the two track training sessions each day, camp riders took part in three days of track racing put on by the Burnaby Velodrome. Riders of all levels were able to transfer the skills learned during the sessions in a race scenario. "It was such a rush racing on the track so close together! My favourite part was trying to sprint past other riders during the sprints" said camp rider Spencer Mulder (Powell River). A big thank you to everyone that make these camp happen. 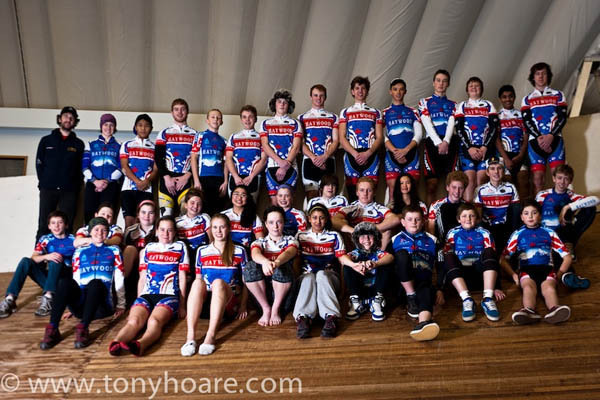 We had 40 kids this time with a wait list of 15, we hope to have two or three camps in March for 100 kids ... Happy New Year!